This web site has been created for Quantum Life and the iLife/ iNfinity App for intermediate and advanced training. Instead of random and loosely tailored trainings, it has been demonstrated that to reach understanding of training it is wise to have a sequential, logical linear method of delivery. Our intended purpose is to raise awareness allowing for ones own wisdom to come forward and then within the process to experience wealth in all areas of your life. Hence, the name Wise and Wealthy Me. Entering the site you will come to the members page where we explain how important it is to have a process to follow for training and for personal development (if you choose) with the iNfinity App. You then enter into the first segment of the Foundational Understanding where we discuss the different aspects of our awareness regarding how we are all linked together within our respective states of consciousness. We also discuss how our experiences are contained within the original biofeedback design of life. A few days later you are invited to segment two where we discuss the distinction of victim consciousness and self responsibility. All true, genuine and permanent wellness takes place within self responsibility consciousness. Victim consciousness allows for re creation or transferring to another problem and/or creating a new problem. After that, within a few days you are invited to segment three where we discuss the good news of self empowerment and begin to align to our own innate wisdom and true sense of power. The purpose of the first three segments without protocols are for you to get started while you are learning how to use your App and receive your basic training. From there you automatically enter into the Discovery course where you go through some of the foundational information of our limitations (beliefs/physical issues/lack of discipline/procrastination, etc..) Most of the segments are accompanied by videos from professionals on the specific subject matter. Each segment has protocols (formulas to follow with your App) for releasing the energy surrounding the issue and accompanying worksheets for learning and record keeping. Then we move into the Creative Edge where the mastermind starts. The protocols are all arranged around creating as you now have a tool box full of release work protocols when you or your patient/client, family or friends need it. It is then time to create your hearts desires as you will have participated in the alignment process. Our best creations are when we are aligned with our best selves. This is a fun and creative time with lots of support to recognize and experience your wins to the best of your ability. After a while as you get used to using the App in a more advanced way you will be invited to the Success Library where protocols for different issues will be ready for download. The Forum is for questions where participants can participate with one another along with networking and coming together to create a new and expansive way to work with the App for positive outcomes. There are conference calls to answer questions, explain processes and generally bring us together as community. 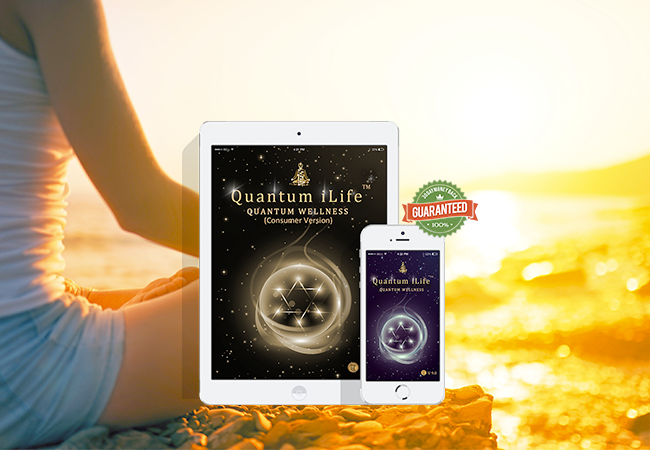 We look forward to being with you on the journey into wellness using the iLife and iNfinity App by Quantum Life.